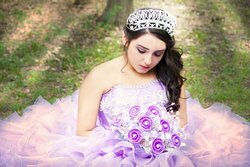 Celebrate this momentous event in a young girl's life with us at the Wyndham Garden Dallas North Hotel! 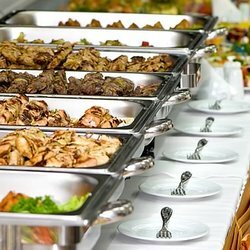 No strangers to the significance of a beautiful Quinceañera, we provide all of the modern conveniences required for a seamless event. Our spacious and regal ballrooms are the perfect place to host a Quinceañera, and our professional events team works with you to ensure a stress-free event. If you’re looking for a Quinceañera on a budget, the Wyndham Garden Dallas North is the perfect place to host your special day! Our spacious ballrooms are 3,170 sq. feet, 5000 sq.feet and 7000 sq. feet- making it easy to accommodate any size event! Every young woman wants her special day to be fun and free of stress. You hope your big day will be exactly the way you’ve planned. Maybe there’s a family tradition passed down from generations you want to keep, or cultures brought together in a special way. 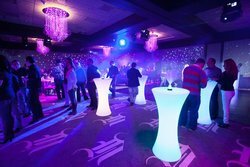 Celebrate this special event in a young girl's life with us at the Wyndham Garden Dallas North Hotel! Our spacious special event space is the perfect place to host a Quinceañera, and our professional events team works with you to ensure a stress-free event.